Many people take the same vitamins for decades thinking that multivitamins are pretty much all the same. Not at all! As we age our body’s changes so do our nutritional needs. Studies show that around 30% of all woman are deficient in one or more of the most important vitamins or minerals. That number could be even higher for different countries and social groups when you start looking on a global basis. The BAD news, with age comes the “wear and tear” process that takes toll on everyone over time. But more good news, with all of the new developments in science and other modern day technologies, we get access to unique products and herbs and plants from all over the world that can slow down the aging process and keep us looking young and healthy for many decades to come. What are the changes that most woman experience after age of 50? The code word is ” most’…These changes vary from person to person …some ladies age better than others but nobody escapes the whole list. Woman after 50 should really reconsider their diets. With age our digestive tracts change and in many cases absorption is not as good as it was before. Women need to eat more organic foods, lean proteins, fresh fruits and veggies to meet their nutritional needs. A number of studies proves that by the time food reaches your table, serious nutrient content could be already lost (Some report up to 50% levels lost!). This is the price we have to pay to be living in modern day society where most of our food is purchased in large mega stores vs. backyard gardens. For many vegetarian or vegan diets do wonders but there are always exceptions and individual needs that vary. We all keep hearing over and over about importance of Calcium, Vitamin C and Vitamin D after a certain age…what about the other vitamins and minerals? We all need to take care of our energy levels and stress by taking Vitamin B complex (protects from heart disease, migraines, reduces stress ). A woman’s body ages faster than men’s ( true story! ) therefore you need vitamin A ( anti-oxidants ) to slow down the process. Vitamin K will take care of your bones and will halt osteoporosis and prevents blood clots. So the important thing to remember is minerals! Zinc, Magnesium and Potassium are “the must” at any age. You need your healthy fats, too ( coconut oil, wild salmon , avocado ) and Omega 3. Try to stay away from sweets. Sorry ladies, there is no nutritional value in sugar! 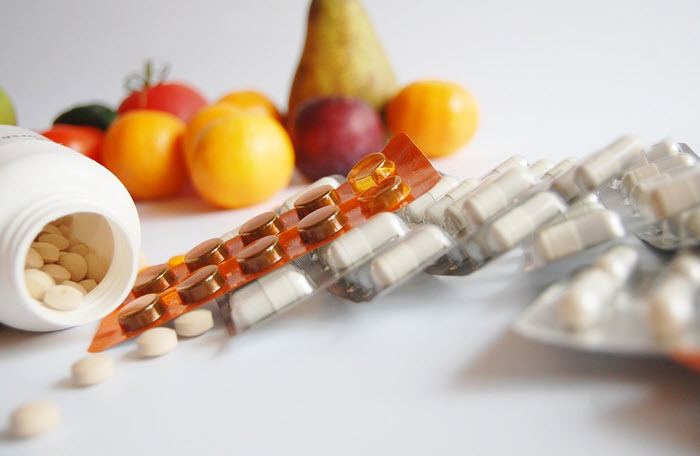 There are so many different vitamins and supplements on the market. Which ones to choose? I personally prefer my multivitamins and supplements form trusted smaller companies where people are passionate about their work and research projects. Smaller volume production usually means better product and ingredient quality as well. Risk factors : not getting enough of the best vitamins for woman who are vegetarians or vegans. Warning : A Multivitamin Overload with nutrients may do you more harm than good. Good multivitamins can protect women from a number of health concerns. Invest in yourself – raising awareness and keeping your body in good shape will pay off big time over the years to come.